YellowAirplane.com: GPS Map Systems, GPS Receivers and other GPS Products. 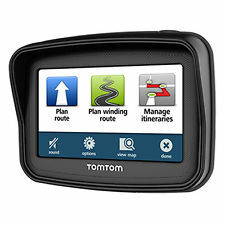 GPS Map Systems, GPS Receivers, GPS Software and Accessories for all of your navigation needs. GPS Map, Global Positioning Systems section. of the Science / Expedition Department. Navigation Store with GPS systems from many manufacturers and many different GPS styles. Global Positioning System technology is growing faster and faster. Because of the competition, manufacturers like Garmin, Magellan and TomTom are moving GPS tracking systems farther and farther into the future not only with new technology and integrated features, but also with GPS software mapping for navigation and tracking all in a handheld system. This super navigation technology is growing at a steady rate both in new ground technology and in new GPS spacecraft technology. To read more about the development of the GPS map system technology, Click Here. Global Positioning System Development and Information. YellowAirplane Gives You the Best Source of Airplane Models, Airplane Books, Airplane Movies, Aviation Art, Aircraft Calendars, Airplane Tools, Exhibits and MORE!